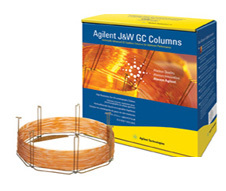 Agilent J&W DB-5ms Ultra Inert delivers industry-leading analytical performance in a range of chromatographic applications. DB-5ms Ultra Inert is low bleed and features excellent signal-to-noise ratio and peak shapes, enabling high levels of performance in analyzing challenging active analytes. DB-5ms Ultra Inert is also individually tested with a demanding Ultra Inert test probe mixture, to deliver consistent column inertness.